Last month, the Nguon festival took place in Foumban (also spelled Fumban), in the Noun region of Cameroon, celebrating its 545th edition. So what is this centuries’ old tradition called the Nguon? Celebrated every two years by the Bamoun people (also spelled Bamun, Bamoum, Bamum) of the Noun region of Cameroon, the Nguon festival is over 600 years old. 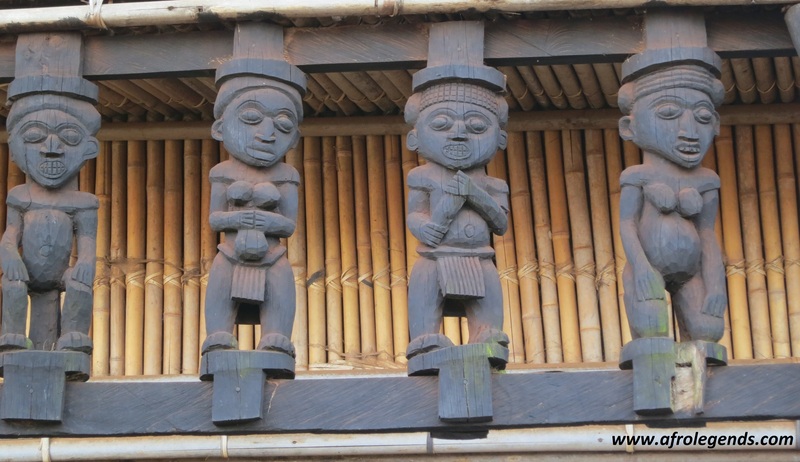 It is a true display of the rich culture and tradition of the Bamoun people. The Nguon festivities are spread over 7 days, with each day marked by several activities such as traditional dances, ritual ceremonies, conferences, and great food showcasing the richness of the Bamoun culture. During the Nguon, the Bamoun people gather to express their ideas and grievances. The pinnacle of the festivities occurs when the King is deposed, judged on his governance and achievements for the last two years and eventually reinstated. Talk about an example of democracy! The Nguon thus allows the king to connect with his people; it is a time when the distinctions and hereditary privilege classes cease to exist. So why the name Nguon, you might ask? Well, the Nguon is the name of a species of locust whose large presence in the fields announced the period of harvest of millet, maize and other cereals. It is a celebration of the harvest, of good times. That is the reason why this centuries’ old festival was always held during the harvest period, usually in late July, or early August. In the old days, it was celebrated once a year, but since 1996, it has become a biennial celebration. On the first day of the celebration, all the lights at the King’s palace are turned off. Slowly, the owners of the Nguon enter into the royal court, in total darkness accompanied by the sound of drums, giving it a mystical touch. 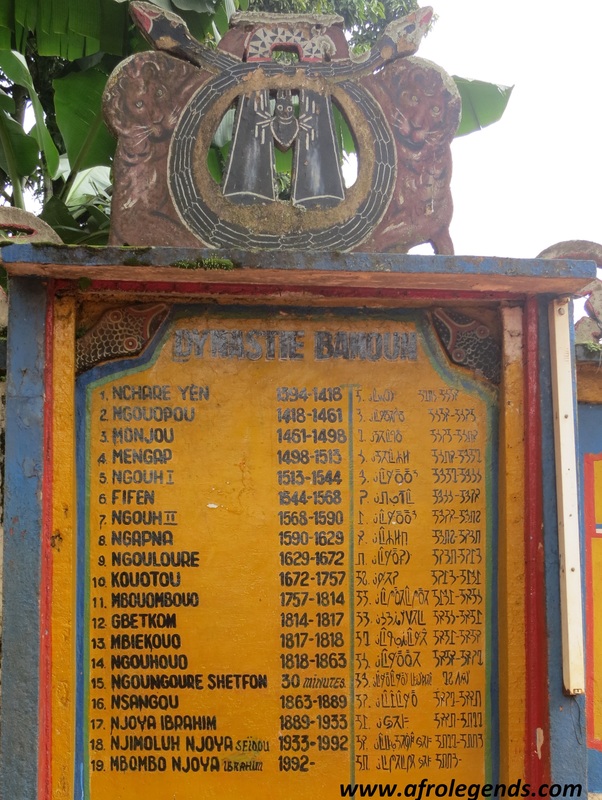 It was all started in 1394 by Nchare Yen, the founder of the Bamoun kingdom (this will be for another day). After Nchare Yen established his kingdom on the shores of the Noun River, he befriended Mfo Mokup, a neighboring king who had a secret society called Nguon, which ensured the supply and equitable distribution of food across his kingdom (like Joseph in Egypt in the Bible). Every year, during the harvest period, the Nguon owners (members of the secret society) roamed the village to ensure that villagers brought their harvest to the king’s palace; in turn, the king redistributed the products of the harvest to all his subjects across the kingdom. Any surplus was stored in an attic in preparation for hard times. The gathering ended in 3 days of celebration known as the Nguon festival. Upon seeing this, King Nchare Yen adopted this governing method whereby Nguon owners would not only travel throughout the kingdom to ensure good food supply, but would also gather all of the people’s grievances, and detect abuses committed in the name of the King. Their responsibility was thus to keep the king aware of any problems, and in touch with his constituency. During colonial times, the French did not appreciate this way of governing, as it gave too much power to the local King; so they banned the Nguon in 1924 after deposing Sultan Njoya. 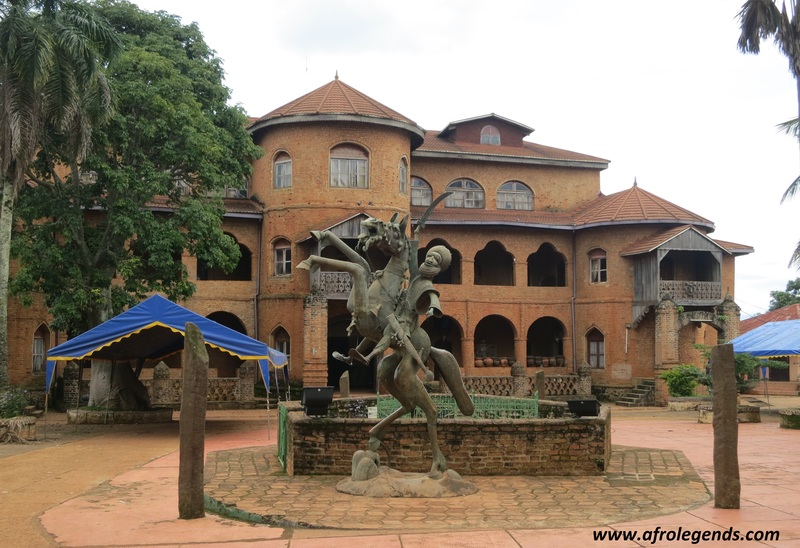 It was fully restored by his successor Sultan Njimoluh Njoya after Cameroon’s independence. Since 1996, the current monarch, Sultan Ibrahim Mbombo Njoya, has made it a biennial celebration, and transformed it into an international event attracting tourists from around the world. 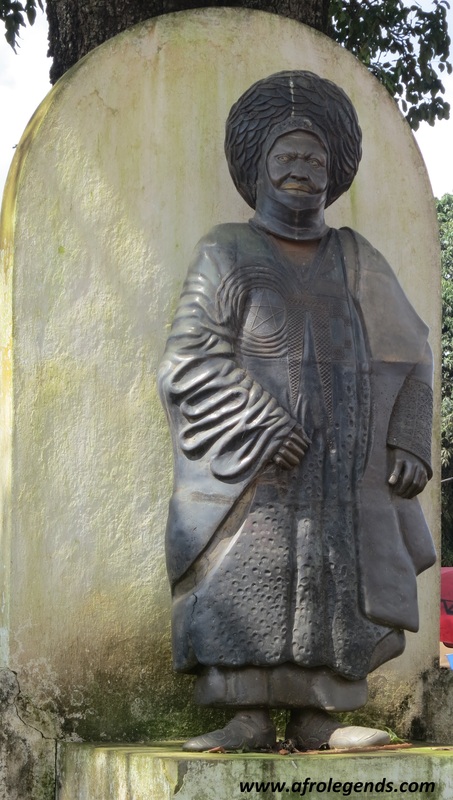 According to His Majesty Sultan Ibrahim Mbombo Njoya the Nguon is the “cultural identity of the Bamoum”. It is a celebration of the people’s warmth, and joy at sharing their cultural heritage. It is extremely beautiful to see people celebrate their culture that way, dressed in full attire: the warriors demonstrating their skills, reenacting centuries’ old traditions, telling centuries’ old stories, great music, great dancers, delicious food, the women dressed like true African queens, and the euphoric ambiance. The blog My African Chronicles has great pictures of the event two years ago.